Why meditation is important to me? In the present era which is busy and fast working period, everyone should have to super active physically and mentally and for staying mentally active there are different Types of meditation and for physical activities, we have cardio exercises. 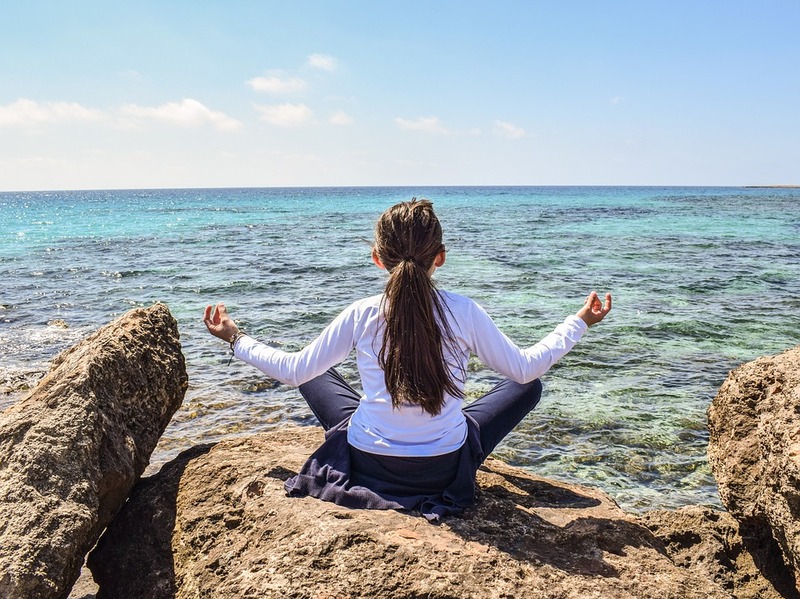 For mental health, you have some great natural options, good diet, and physical activity is important but in the top natural remedy, you can choose to meditate to increase your mental energy and focus. Meditation offer relaxation and heightened awareness in today stressful world where our senses are often dulled due to daily work and tensions. Researches tell us that meditation has the potential for more than just temporary stress relief; meditating daily provide you with the ability of decision making and positive thinking in any situation. 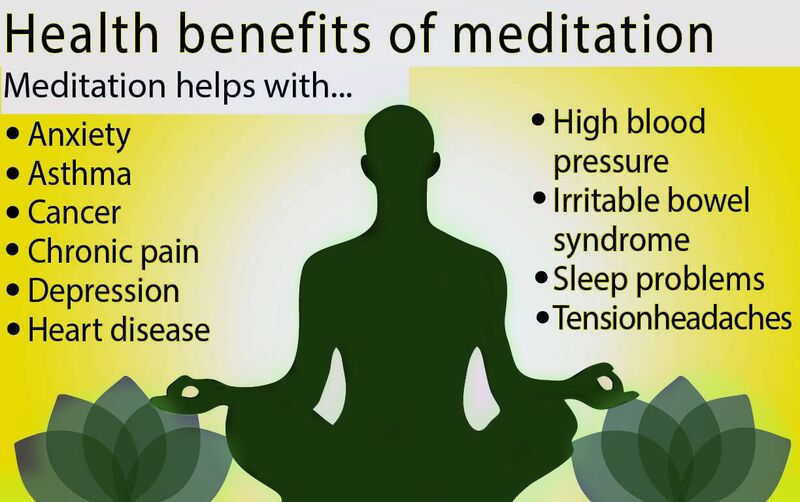 It Keeps your mind active during any task and there are numerous mental health benefits of meditation. Having a good memory can provide you with many advantages in today era because mostly those people get successful who have sharp memory to remember their goals and a healthy mind to think beyond everyone thoughts. Although there is no right or wrong types of meditation practice. Every type has its own benefit and rules, to achieve different spiritual benefits but knowing basic rules of meditation is important forgetting start. It can help people who are suffering from frustration in life. Short memory issues can be resolved by practicing meditation. Concentration or fatigue problem can get resolve and you will feel more active physically and mentally at any point. Meditating can be helpful for Short temper peoples. Being resentment with anyone without any issue can get solve by practicing. There are many types of meditation practices in the world but we will focus on some top beneficial practices for you. Mindfulness meditation help practitioners to stay mentally present and aware in the moment rather than thinking of the past or about the future. Another benefit of mindfulness meditation is that you can practice this meditation anywhere. 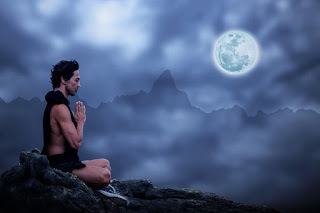 Maybe you know some meditating practices are good to practice in a silent and peaceful environment but in this case, you get an advantage of doing it at any place. For example, you can do this while waiting in the line at a grocery store or waiting in the railway station and you can also meditate at your workplace. How mindfulness meditation can be practice? For performing mindfulness meditation you need to notice the environment in the surrounding or you can focus on one specific sound of anything in surrounding for example sound can be of birds singing in a park or of rain. It can be any sound, you just need to choose and start focusing try to notice it in deep. Your mind will get wander by different thoughts in the start but it's normal at the start of meditating journey just bring your concentration back and start refocusing. And, IF you don’t find any sound to concentrate no problem then start focusing on your breathing flow while inhaling and exhaling. Reduce fixation on negative emotions and help you to stay positive. Zen meditation is the part famous Buddhist practice and “Zen” sometimes called with the name of “ZAZEN”. Mostly this practice is studied under the supervision of any professional because this kind of meditation involves some specific steps and posture but we will guide you all about posture and basic of it. ZEN meditation was famously described by the great Buddhist master Bodhidharma as “A special transmission outside the teaching and this meditation is not established upon words or letters”. This type of meditation is directly pointing to the human mind and heart and help in seeing nature and knowing your inner self in a better way. For practicing Zen meditation, you need a peaceful place and a comfortable position after that try to focus on your breathing, and mindfully observe one thought without judging it or getting distracted. This meditation is similar to mindfulness meditation but this requires more silent and discipline in practitioner and place. You need to practice more to get an expert in it. This meditation can be referred to the people who are seeking a new spiritual path or relaxation in their mind. Zen type of meditation improves your concentration level and help you to expel the unrelated to your thoughts. People meditate to improve their focus and to know how their mental function works and how can they control their mind to get positive changes in life but Zen meditation delves much deeper and tackle deep-rooted issues. For getting stronger focus in ZEN type of meditation you need to practice more rather than only studying it. Benefits of ZEN type are that it provides insight into how the mind works. As with other forms of Buddhist meditation, ZEN practice can benefit people in great ways, this meditation provides tools which help the practitioner to cope with depression and anxiety issues and one of the great purposes is spiritual peace, as Zen meditation uncovers the innate clarity and workability of the mind. ZEN makes you experience the original nature of mind powers. Transcendental meditation type practice is where people remain seated in a silent place and breathe slowly. The main goal is to transcend or rise above the person’s current state of mind and achieve Free State of mind. This meditation technique is also called TM which is the form of silent mantra meditation, developed by Maharishi Mahesh Yogi. This meditating practice involves the use of mantras to focus on one particular phrase or word which make you feel comfortable. This meditating technique is one of the most widely practiced, and also the most widely researched meditation technique. Transcendental meditation was also practiced in the schools, universities, and prison program to make prisoners better human being and in many big corporations in the USA, Latin America and in Europe countries big companies also use give classes to their employees to make their mind active and sharper. For performing meditation you need a silent place where you can feel relax with eyes closed or open. 20 minutes needed to focus on the mantras which you will choose, mantras can be of any word or phrase. The work of mantras is to make you feel relax and energetic. Repeat mantra slowly because speaking it aloud, apparently defeats the purpose of focusing. While focusing and repeating mantras different bubbles of thoughts will pop up in your mind, but the actual purpose of practicing this meditation technique is to stay focus on your mantras and avoid other thoughts. Work great for improving memory and improved brain functions. Help to get rid of stress and anxiety for a good time. Provides mind clarity and ability to make decisions quickly with mind spiritually present. Improve sense of calmness throughout the day. Help to get good and deep sleep. Prevent heart attacks or stroke. Breathe awareness meditation is about focusing on your breathing rhythm while inhaling and exhaling to make your focus strong to one task. · Find a comfortable place to sit and it’s suggested to sit straight, to avoid falling asleep. · It’s up to you to keep your eyes open or close. · Keep your gaze down words and do not glance around the room or where you are sitting because doing this will wander your concentration. 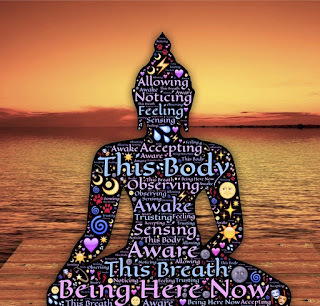 · Begin with breathing slowly in and out through your nostrils, and while exhaling allow your body to relax and shoulder to come down and release them. Follow this pattern for a few breathes. · Remember one thing while focusing on your breathing your concentration will get wander with different thoughts but don’t focus on them and don’t eliminate thinking about breathing, just bring back your focus to breathing. · Try to keep your focus on breathing for 5 mints in a start and after that, you can increase the time up 40 minutes gradually with improving focus. · After paying attention to the time you choose. Open your eyes and take a moment to notice sounds in the surrounded environment. · Now notice relax the body and the pausing of thoughts in the brain. 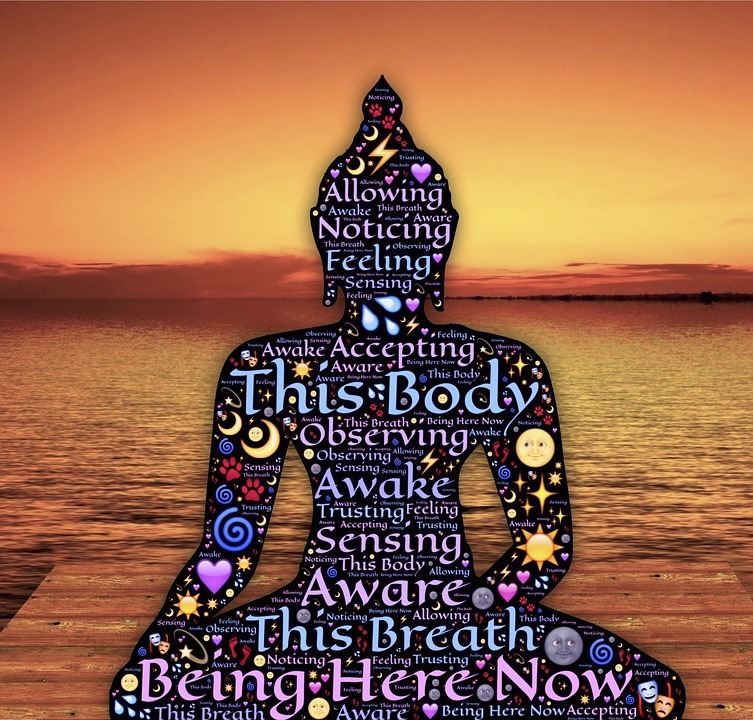 The main purpose of focusing on the breath is to get disconnected from every thought which comes in the mind while focusing and getting aware of your breathing. This meditation helps to Train your mind to focus on the task which you want. This type of meditation increase patience in you. Breathe awareness meditating increase your focus to the single task and teach how to get back to the track, after getting wander. Teach you to sit still for a prolonged period of time. Which only a few people practice because it’s difficult and stilling your body for some minutes make you feel calm and relax. Reducing input into your mind by closing your eyes, sitting still and just focusing on one thought which provides more clarity of thought. You get more aware of your thoughts pattern and you get to know on which thought your mind thinks more and get worried most. This will help you to break the unhelpful patterns thoughts. Gives you the ability to self-control because of not reacting unwanted thoughts, feelings, and impulses instantly. By doing this you will develop the ability to self-response thoughts you want. In this article, we have written about different types of meditation, which can help you to become a positive person and to get rid of any bad habits. Meditation is a great source for achieving any goal in life because it helps you to control your mind and improves the functionality to work more with creativity and focus. These two qualities are must get success in any field of life either professional or personal. In today time there are many types of meditating practices are done in the overall world. Each group of folks performs their own type of practice for making their mind active and sharp but which we cover above is some famous and oldest successful methods. 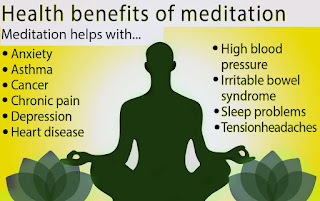 Above 4 Types of meditation have been practiced from years and peoples have received amazing benefits and get able to spend life better and in a positive way. I will recommend you to try each and every method for 1 week period each and experience the benefit of meditation and then finalize which type of meditation you want to practice daily. Does meditation improve memory?| with Detail researches.